The American Eagle Foundation is once again proud to announce next year’s successful eagle grants applicants. For 2016, seven applicants for American Eagle Foundation grants were selected to receive a combined total of $100,251 in funding for work to be carried out in 2016. 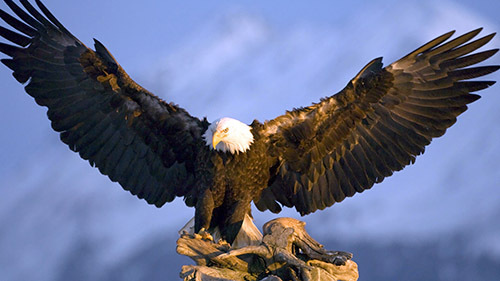 The American Eagle Foundation grants are directed towards work that promotes eagle conservation and research. This is the fourth year the American Eagle Foundation has sponsored grants in support of eagle conservation and research, with awards to date totaling in excess of $400,000. We appreciate the important work of these grantees, and are honored to be able to contribute to the continued success of the bald eagle. The American Eagle Foundation is a not-for-profit 501(c)(3) organization whose mission is to protect and preserve the United States’ living symbol of freedom, the American Bald Eagle, and other birds of prey. The AEF is celebrating its 30th year of carrying out its mission through Preservation, Repopulation, Education, & Rehabilitation. It is headquartered in the foothills of the Great Smoky Mountains at Dollywood Family Theme Park in Pigeon Forge, TN. The following are recipients of the American Eagle Foundation 2016 Eagle Grants. Sales from the U.S. Mint generated $7.8 million in 2004, which Congress designated that the American Eagle Foundation use for the benefit of bald eagles. Approximately $5.8 million or 75% of these funds were set aside to perpetually grow in the American Eagle Fund, to provide competitive annual grants for eagle projects. We congratulate our successful applicants for 2016!